and financial services in the Avon region. Park Insurance Services, based in Bristol and established for over 30 years, are proud of our excellent reputation as a forward-thinking and customer-focused specialist insurance intermediary. 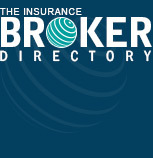 In addition to our extensive online insurance channels, we take pride in providing both our local and national clients with the highest standards of personal service, as well as offering them access to a unique range of insurance products and services; from specialist car and home insurance through to business insurance for fairgrounds, health clubs, hotels and guest houses. Business Insurance Line is a trading style of Reach Insurance Services Ltd. which has been trading since 2007 and the owners of Reach Insurance have been active in the insurance inductry for over 30 years. We specialise in arranging insurance for independent SME businesses across the UK, helpling them find an insurance solution at a competitive price. Specialist -Specialist Our team has over 30 years’ experience in business insurance – it’s all we do, day-in, day-out - so we’re experienced in finding business insurance products for our customers. We are Insurance Brokers based in the South West and specialise in insurance for businesses – big or small, and for prestige homes.